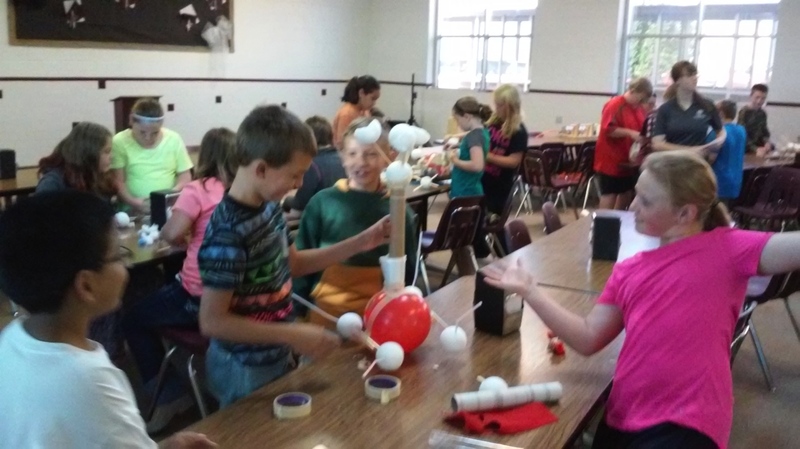 Cosmosphere Educator Theresa Schieck (upper right) advises as Balko Public Schools 4th and 5th Grade students design, build and test the effectiveness of appliances and coverings to protect their balloon “spacecraft” from simulated threatening debris in Earth orbit. 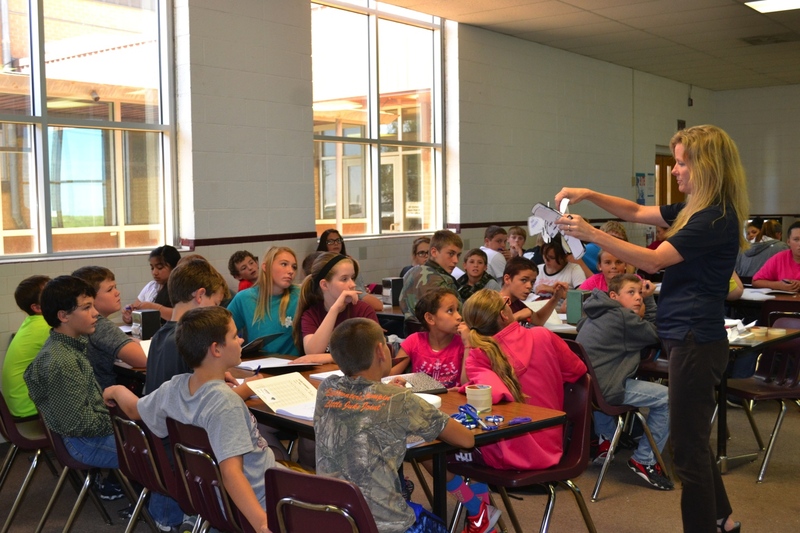 Balko Public Schools students, Grades K through 8th, spent a day using the lessons they are learning in the classroom to solve the kinds of practical problems that they will face as citizens of the United States, inhabitants of the Earth and perhaps even explorers in space. Sponsored by the school’s QZAB STEM+ Academy, and utilizing programing and educators from the Cosmosphere International Science Education Center and Space Museum as a resource, students participated in the first session of a year-long series of STEAM+ activities. These in-school events will lead to an intensely exciting culminating program of hands on activities using the unique facilities, equipment and simulators at the Cosmosphere International Science Education Center and Space Museum. 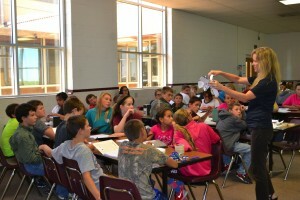 During this first installment, K-2 students learned the importance of clear and precise verbal communications, 4th and 5th grade discussed the risk to global communications, national security and consumer convenience posed by the growing field of manmade debris in Earth orbit, 3rd grade explored the nature of the atmosphere and how instruments and data help us to understand the natural world and 6th, 7th and 8th grade students explored the importance of design and experimentation-even failure- to inventing tools such as aircraft. Tracey Tomme, VP of Education for the Cosmosphere Science Education Center and Space Museum demonstrates the fine points of engineering design to 6th, 7th and 8th grade students before they construct their own gliders.